Item # 312232 Stash Points: 995 (?) This is the number of points you get in The Zumiez Stash for purchasing this item. Stash points are redeemable for exclusive rewards only available to Zumiez Stash members. To redeem your points check out the rewards catalog on thestash.zumiez.com. 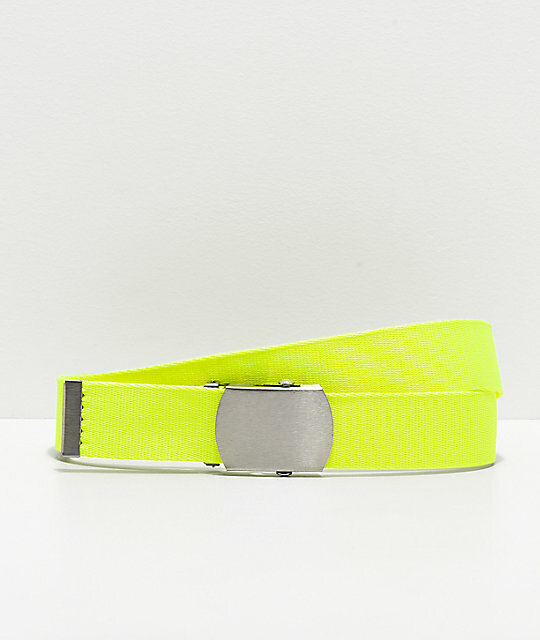 Add some pop to your accesory game with the Webster Bright Yellow Web Belt from Zine. In a bright yellow colorway, this eye-catching belt features an adjustable buckle to ensure proper fit for all. Brushed metal buckle for adjustment. Brushed metal anti-fray end cap. 49" length and 1.5" width.